Get a sport energy pro mattress in one of three sizes! Sporty, dynamic design with a black and green border. Duo-system with one medium (A) and one high firmness face (B). Made with a layer of viscoelastic, viscosoft and 4cm of Biotherm fibers. Ergonomic support, relieving pressure for optimal muscle recovery. 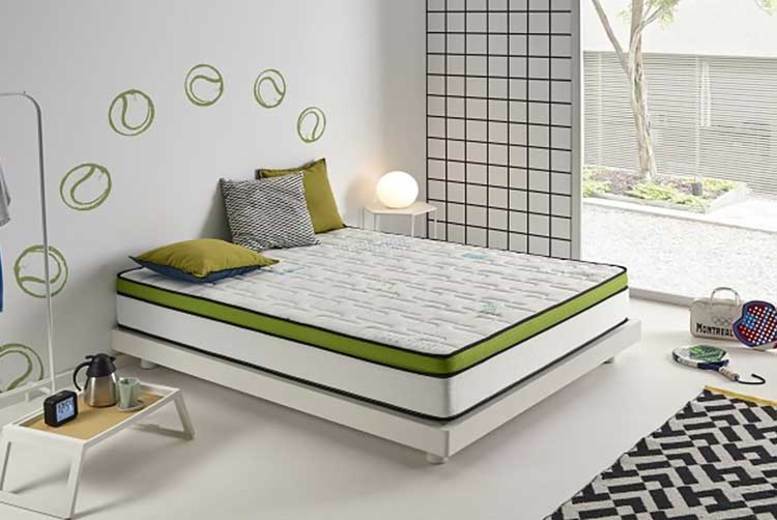 Beds, Today's Deals, Wowcher Zipzap Online S.L.